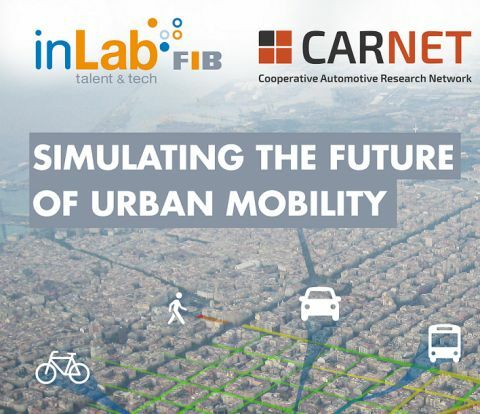 inLab FIB participates in CARNET (Cooperative Automotive Research Network), an open hub focused on mobility and automotive knowledge, an initiative by SEAT, Volkswagen Group Research and UPC, simulating new urban mobility concepts. Sustainable mobility isn’t just a technological issue, the new automotive technologies and IT apps, combined with a changing social paradigm that is beginning to shift from vehicle ownership to vehicle use, make it possible for any user to access mobility services that allow them to anywhere at any time. 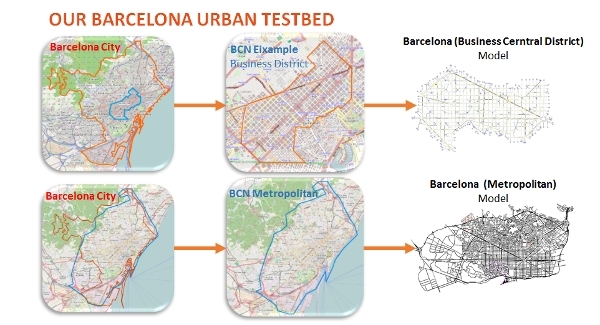 In order to simulate the future urban mobility, we use traffic-specific simulators at a macro, meso or microscopic level and Barcelona city’s models to emulate new mobility concepts realistically, reproducing the city’s traffic dynamics. This also allows us to measure future impact of different penetration levels of new concepts or vehicles. For example, in one of the projects, Connected Car, developed together with Volkswagen Research, we emulated 10.000 equipped vehicles, acting as mobile traffic sensors that coexisted with the rest of the city’s vehicles. The simulation allowed us to assess the quality of the information collected by this type of vehicle, in order to estimate the state of the city’s traffic, opening the door to future lines of research. In another project, Urban Co-Car, we worked with a fleet of vehicles that shared routes dynamically, to absorb 10% of the trips that are currently performed by private vehicles. This project focuses on the analysis and evaluation of the impact of a system consisting of vehicles shared between multiple users, exploiting in an efficient, flexible and profitable way the fact that their routes coincide totally or partially. The project answers questions as: how do you access the system?, how is the fleet managed?, how are the services assigned?, how are the routes made more flexible? 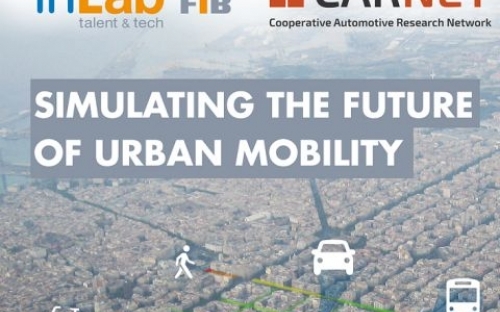 In the European project BIG IoT, currently underway and in which SEAT also participates, 5.000 connected vehicles will be emulated. 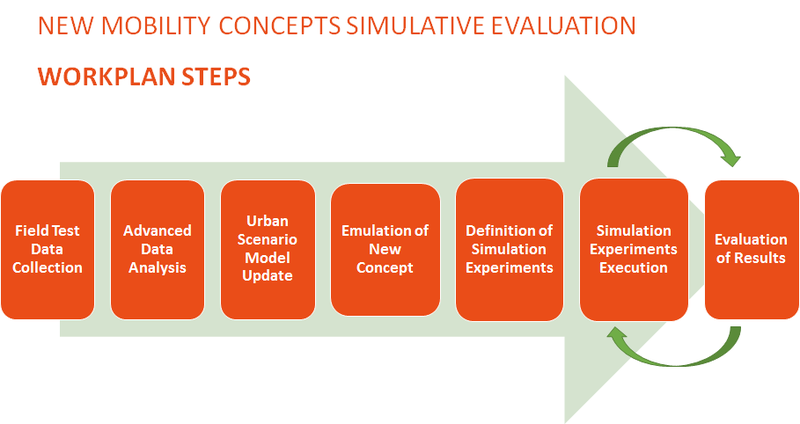 All these projects share a common methodology, which includes the extension of the simulation environment to emulate the new concepts in a realistic way.